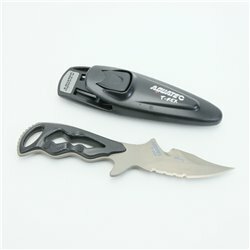 Knives There are 14 products. 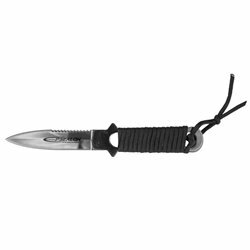 The blade of this Aquatec Tiger knife is point-tip and is manufactured by titanium which ensures extremely light weight, durability and absolute rust-free operation. 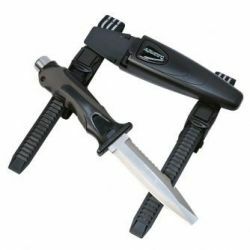 The knife is manufactured from non magnetic titanium, which makes it absolutely rust free and extremely light - only 75 g.
The TUSA FK-14 diving and spearfishing knives are made of high quality titanium. 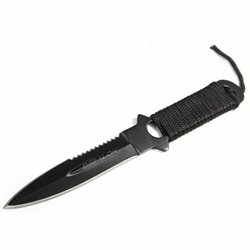 The Epsealon Silex removable blade dagger features a 14 cm blade covered in black titanium. 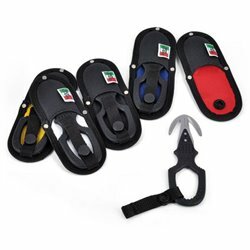 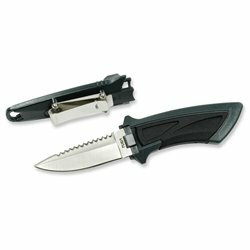 The BestDivers folding diving knife features a neat and compact design with 8cm. 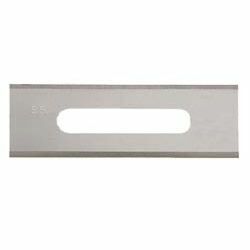 stainless steel serrated blade covered in black teflon. 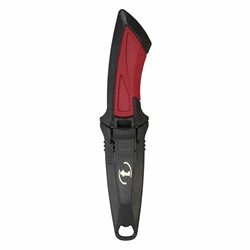 The TUSA FK-10 Mini-Knife is a compact and lightweight knife that is perfgect for both SCUBA diving and spearfishing. 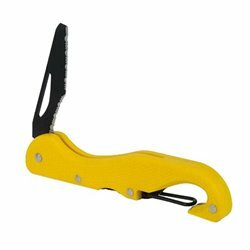 The unique cutting mechanism of the EEZYCUT TRILOBITE provides the cleanest, sharpest, most effortless cutting action available.? 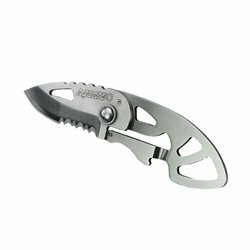 The Aquatec Tiger knife's blade has blunt tip and is manufactured by 304 Stainless Steel. 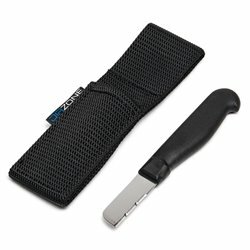 A surgical steel mini-knife big enough to slice an apple and small enough to store in a small pocket. 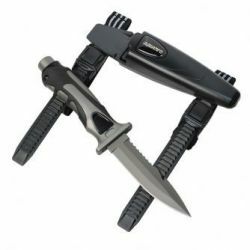 The Fang is an extremely versatile knife, designed with spearfishing in mind from a marine grade W 1.4116 stainless steel with HRC52-54 stiffeness. 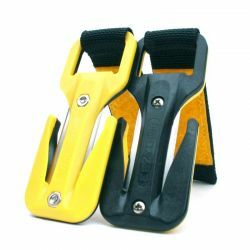 Two EEZYCUT TRILOBITE spare blades.